This beautiful split bedroom townhome offers 2 bedrooms with private baths and is conveniently located near the entrance of Pinehurst No. 6. 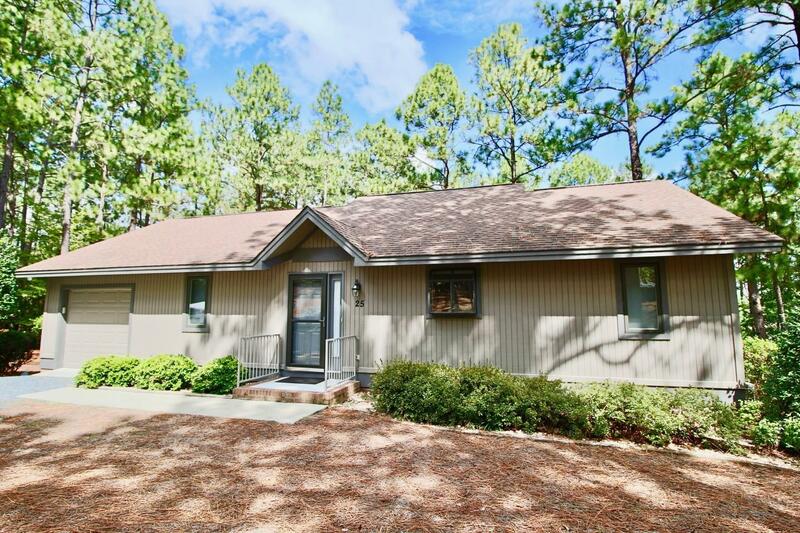 This unit is one of the newest ones in Juniper Creek and has been freshly updated with granite countertops in the kitchen and baths, hardwood floors in the living areas (there are hardwoods under the carpet in the living room) and brand new stainless steel appliances in the kitchen. Brand new front load washer and dryer, too! Not a thing needs to be done! The baths feature tile floors and both bedrooms have sliding doors to the wrap around deck offering LOTS of privacy. This unit also features a one bay garage with access via the back deck. Don't miss this fabulous condo at Pinehurst #6!